Veterans of the Black Panther Party, Seattle chapter, discuss their experiences in video interviews conducted by Janet Jones with assistance from Trevor Griffey and Alex Morrow. The links below lead to brief personal biographies and streaming-video excerpts of each interview. Aaron Dixon Co-founder of the Seattle chapter, Aaron Dixon was 19 years old when Bobby Seale appointed him Captain in 1968. 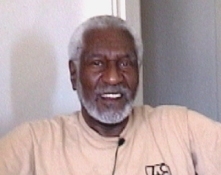 He guided the chapter through its early years, then moved to Oakland in 1972. Elmer Dixon Elmer Dixon was in High School when he helped his brother Aaron begin the Seattle chapter. He served as Field Marshall and kept the chapter together after 1972. Mark Cook Raised in Seattle, Mark Cook joined the Panthers while serving time in Walla Walla State Penitentiary. He organized the prison chapter of the BPP. Michael Dixon The youngest of the Dixon brothers, Michael was a 15-year old sophomore at Garfield High when he joined the Party. Jake Fiddler Born in Mississippi, Jake Fiddler joined the BPP not long after moving to Seattle, serving as Elmer Dixon's bodyguard and managing distribution of the Party newspaper. Leon Hobbs A military veteran, Leon Hobbs helped train the chapter in weapons and tactics. He also co-founded the Sydney Miller Free Medical Clinic. Ron Johnson Minister of Information for the chapter, Ron Johnson helped maintain the Seattle BPP after 1972 when much of the leadership had moved to Oakland. Mike Murray An early member of the chapter, Mike Murray was a student at Garfield High School when he joined the BPP. Garry Owens After serving in Vietnam, Garry Owens returned to Seattle and joined the BPP in 1968. Owens developed public speaking skills while in the Party and eventually found his way to a UW degree. Mike Tagawa One of two Japanese Americans to join the Seattle chapter, Mike Tagawa grew up in Seattle and served in the military before joining the BPP in 1968. Bobby White Joining the Black Panther Party shortly after returning from Vietnam, Bobby White served as Lieutenant of Information from 1968-1971. Shamseddin Williams The son of Malcolm Williams, Shamseddin Williams spent part of his childhood with the Seattle Black Panther Party. Kenyatto Amen-Allah A child during the civil rights era, Kenyatto Amen-Allah grew up around the Black Panther Party, attending the BPP's Liberation School. He is currently active with the Panther Legacy Committee. Wes Uhlman Mayor of Seattle from 1969 to 1977, Wes Uhlman was no friend of the BPP. But early in 1970, he saved lives by intervening to prevent federal agents from launching a nighttime assault on Panther headquarters. Larry Gossett Black Student Union co-founder Larry Gossett describes the activities that helped launch the Black Panther Party. After decades of community activism, he now represents the 2nd district in the King County Council.